Textile solutions for interior design, architecture and hotel furnishing – these topics will be the focus for the Interior.Architecture.Hospitality Expo, a new exhibition format that will take place in Frankfurt from January 9 to 12, 2018 within Heimtextil. Selected suppliers will present their textile products and material solutions in the exclusive surroundings of the new Expo in hall 4.2. 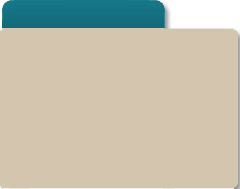 In this way, they can position themselves to specifically target interior designers, hoteliers and project planners. The Expo’s offer encompasses both aesthetic and functional answers to questions regarding modern, sustainable design, as well as fire protection regulations and structural requirements. Exhibitors at the Interior.Architecture.Hospitality Expo will present their products relating to the “customised” theme in the form of individual customer-oriented solutions. New products and innovations in acoustic textiles, modular carpets and wall coverings are also included. Trade visitors can discuss their current projects directly with the exhibiting companies in order to find solutions for their concrete design or application-related questions. The first brand companies to announce their participation include Drapilux, Rahmig & Partner and Low & Bonar. With the Expo, Heimtextil is expanding its range of offers for the contract segment, bundling them under the title “Interior.Architecture.Hospitality”. In addition to the Expo, this also comprises a high-quality presentation and training program for interior designers, architects and hotel furnishers; the Architecture.Hospitality Lectures and Interior.Architecture.Hospitality Tours; and guided tours of the trade fair that are tailored to the specific interests and requirements of architects or hoteliers. The starting point for the guided tours is the Interior.Architecture.Hospitality Salon in the centre of hall 4.2, which also invites colleagues to network with each other. Well-known industry partners have been secured both for the tours and lectures, such as the Association of German Interior Designers (BDIA), the industry event organiser hotelforum management, trade magazine AIT, the Allgemeine Hotel und Gaststättenzeitung (AHGZ) and, for the first time, the international architect network World Architects. 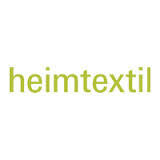 Hall 4.2 is also the location for a new special presentation on textile floor coverings initiated by the Association of the German Home Textiles Industry (Heimtex). The themes of modularity, acoustics and design are showcased in an architecture-focused environment using textile floor coverings. Architects and contract furnishers will receive comprehensive and expert advice on these three main themes as well as all other issues relating to carpets. The innovative fibre manufacturer Trevira will also be present in hall 4.2 for the first time as part of a big community presentation comprising 18 participating firms, including Engelbert E. Stieger, Johan van den Acker, Pugi, Spnadauer Velours, Swisstulle and Torcitura Lei Tsu. A globally unique range of upholstery and decorative fabric offers with over 400 exhibitors can be found in hall 4 in the direct vicinity of the Expo. Visitors to the Expo will benefit from its proximity to the stands of high-quality international suppliers such as Deltracon and Muvantex from Belgium, Erotex from Israel, Loro Piana and Tali from Italy and Blom Liina Maria from Finland. The upholstery and decorative fabrics provide a comprehensive product offer that meets the highest aesthetic and functional requirements of interior design.